So here we are at the midseason finale. This was definitely an interesting episode, with a more stream-of-consciousness feel to it. The emotions, more than the actions taking place, were clearly the point. We also said goodbye to a couple of characters–though perhaps not the ones you might have expected. Most of this episode cuts back and forth between the final battle, focusing on singular characters. Lagertha seems resigned to her fate, and we see in a flashback that she believes she won’t survive this fight, despite Heahmund believing that it isn’t their time to die. 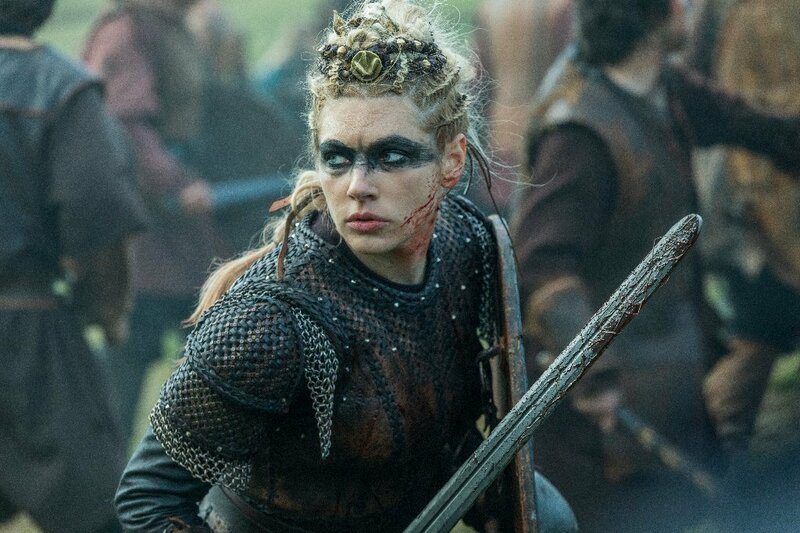 I know that some people find their sudden relationship strange, but given Lagertha’s current emotional state, and Heahmund’s desire for some sort of solid figure to follow, I think it makes a great deal of sense. Lagertha’s concern that she won’t see him after death, as Valhalla and Heaven are different places, echos Ragnar’s own fears about the death of Athelstan; perhaps I am reading too much into it, but I think the parallels are clear. 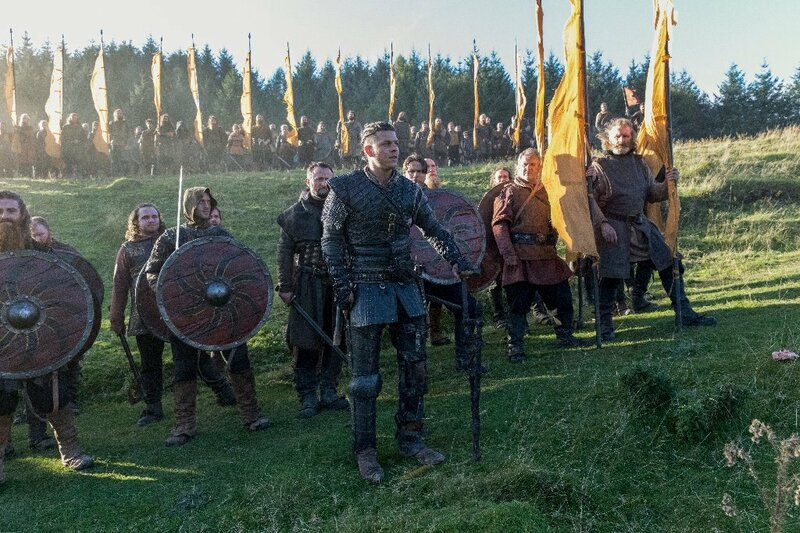 We see little of Ubbe and Vitsek in this episode; Vitsek has a flashback to a conversation with Ivar, where it seems they have come to an impasse; Ivar believes that Vitsek should never have left the boat, and should have gone with Ubbe, despite his brother’s protests to the contrary. On the battlefield Vitsek even sees himself stepping out of the boat, but is soon brought back to the present, where Ubbe confronts but can’t bring himself to kill Vitsek. It seems the young man will continue to be pulled between brothers, moving on into the second half of the season. Bjorn seems to have poor luck this episode, as his new wife and stepson are killed. I’ll admit, having Bjorn mourning over the body of his new bride like they were some great love was a bit strange–as they met just a few weeks prior, but at this point I’ve stopped trying to understand any of Bjorn’s motivations. 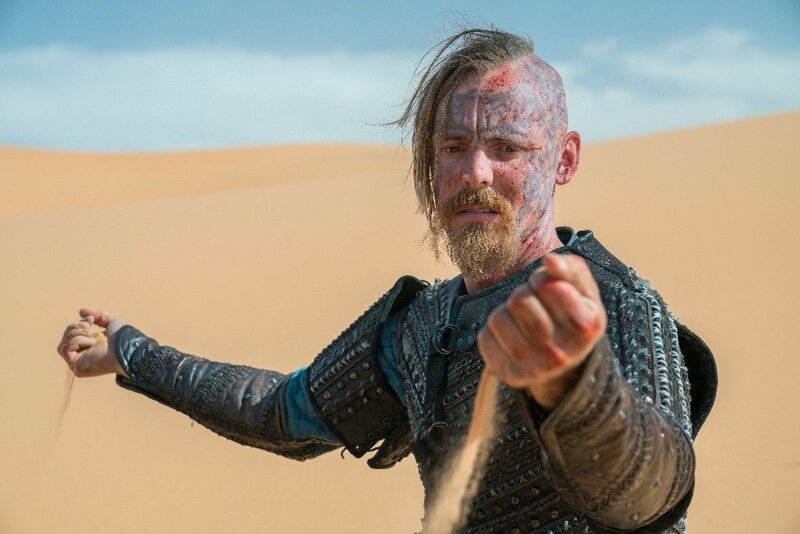 Halfdan has a vision of the desert while on the battlefield, sand slipping through his fingers. Which could be symbolic of his life, as his brother cuts him down. Goodbye, Halfdan. I liked you a great deal more than Harald, and it’s a shame you were the one to go. We also lose Astrid in this episode, who simply can’t bear to deal with her life any longer. Facing Lagertha on the battlefield, she begs her former lover to kill her. Lagertha does as she asks, but it’s clear that it breaks something within her, as she was yet again forced to lose someone she loved. The battle is all but lost, as Ivar finally calls the French troops to storm the battlefield, forcing a retreat. Ivar never once fights, but instead keeps back from everything, and has the gall to be upset that Lagertha doesn’t come to fight him. He’s the one who wants her dead–he should have been fighting, as well. The return to Kattegat is bitter and sad. Torvi may have lost her first born, but luckily Margarette didn’t kill her other two children. 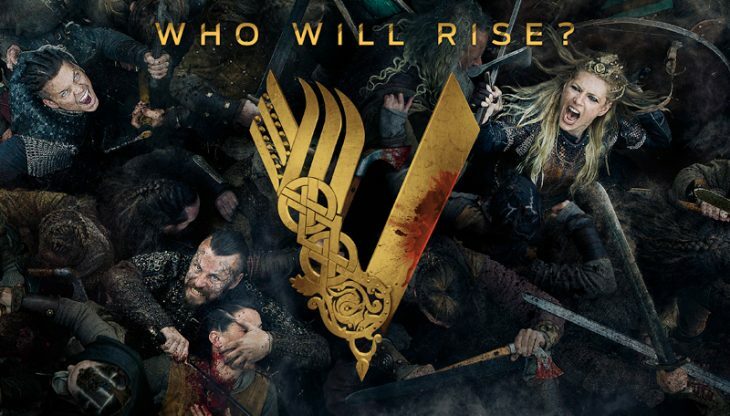 The entire group will have to leave, soon–but it is unclear who will be in charge (Heahmund, Bjorn or Ubbe), as Lagertha is found in the grand hall, staring into the distance, her hair now white. Oh. And Rollo is showing up–that’s a thing. Finally, ‘Sir Not Appearing In This Show’ is making an appearance. For what purpose, time will tell. Notice I didn’t mention Iceland and Floki? Well, those parts of the episode just detracted from the battle, and the less said about them, the better. His storyline continues to bring down the narrative as a whole, and if they don’t tie to the plot structure as a whole, soon, they should just jettison it entirely.